Asking prices in the UK are continuing to fall on an annual basis, down by 0.1% in the 12 months to April 2019, but a slight improvement from the decline of 0.8% recorded in the previous month, the latest index shows. But month on month asking prices increase by 1.1%, or £3,447, to taking the average to £305,449, the biggest monthly for over a year and the largest at this time of year since 2016, the date from property portal Rightmove shows. But there is considerable regional variations with Wales and more Northern parts of England outperforming London and the South of England, a breakdown of the figures shows. The biggest annual prices increased was 3.8% in the West Midlands to £228.151, followed by a rise of 3.6% in Wales to £196.254 and a rise of 3% in Yorkshire and Humberside to £193,725. London recorded the biggest fall with asking prices down by 2.2% year on year to £614.250, followed by a fall of 0.9% in the South East to £405,009 and a fall of 0.5% in the East of England to £351,759. Asking prices increased just 0.7% on an annual basis in the South West to £305,911, by 0.8% in the North East to £151,469, by 1% in Scotland to £155,356, by 2.6% in the East Midlands to £227,093. An analysis of the figures shows that the family home sector is outperforming other sectors in key metrics as their housing needs outweigh uncertainty with a 0.7% year on year price increase compared to a fall of 0.1% nationally for all properties. However, the index report points out that the uncertain political backdrop continues to hold back the market, with new seller asking prices, the number of properties coming to market and the number of sales agreed all below this time last year. But despite these headline falls, market activity remains resilient with would-be buyers and sellers still having housing needs to satisfy, especially in the family home sector. ‘The rise in new seller asking prices reflects growing activity as the market builds momentum. 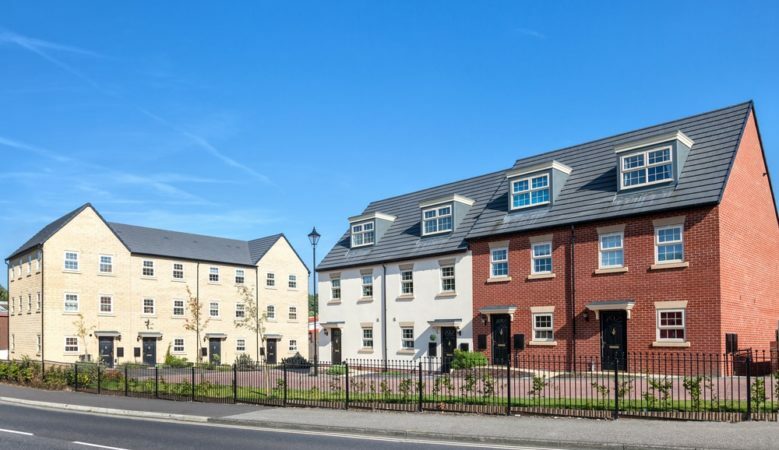 Some sectors of the market and some parts of the country have strong buyer demand and a lack of suitable supply,’ said Miles Shipside, Rightmove director and housing market analyst. ‘However, on average, properties are still coming to the market at slightly lower prices than a year ago. It’s one of the most price-sensitive markets that we’ve seen for years, with buyers understandably looking for value or for homes with extra quality and appeal that suit their needs,’ he pointed out. He believes that the Brexit extension until October coinciding with what is usually the busiest moving season could relieve some of the short term uncertainty. ‘No doubt there are still a lot of twists and turns to come, but this extension could give hesitating home movers encouragement that there is now a window of relative certainty in uncertain times. We are not anticipating an activity surge, but maybe a wave of relief that releases some pent-up demand to take advantage of static property prices and cheap fixed rate mortgages,’ Shipside added. The best way to describe the sentiment in the market at the moment is ‘bored of Brexit,’ according to Bruce King, director of Cheffins estate agents in Cambridge. ‘Sellers are now looking to get on with their lives and move house and buyers are looking to secure somewhere new,’ he said. ‘People’s reasons for moving are still as relevant now as they ever were and buyers in the market still need to upsize, downsize, move locations, move into school catchments and so on and we are seeing that they are now returning to the marketplace as they realise that they can’t keep putting life on hold. Families in particular have been most active in the market over the past few months with house moves driven by schools, job relocations or upsizing,’ he added. Nick Leeming, chairman of Jackson-Stops, agrees. ‘With Brexit delays becoming somewhat of a blur, buyers across the country are getting back to business as usual and are re-establishing the search for their dream home,’ he said. ‘However, with demand currently far outweighing supply, buyers, particularly those in the family homes market, have become frustrated at the lack of new homes coming to market. This greater competition has resulted in upward pressure on prices, so it is perhaps not surprising to see today’s data showing a greater monthly price increase,’ he explained. ‘Properties that are well-priced and of a high quality are being snapped up quickly and we expect that to continue as we head into the busier, warmer months ahead,’ he added.